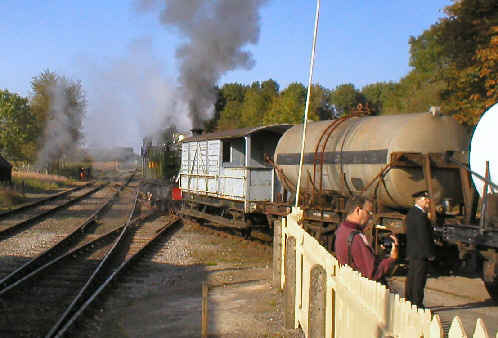 76017, a BR Standard Class 4 2-6-0 runs round its train at the western end of the East Somerset Railway. 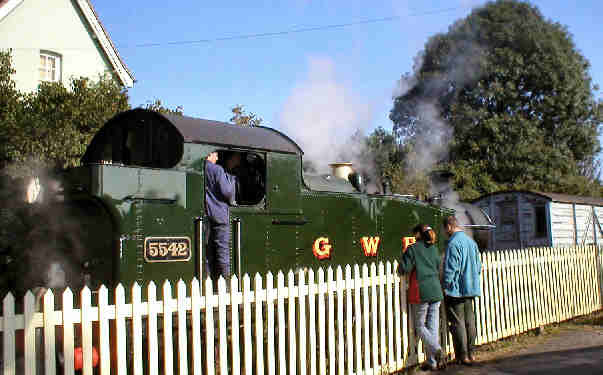 Several of this type of loco were allocated to the Southern Region, hence they passed the edge of Somerset on the Salisbury to Exeter line. 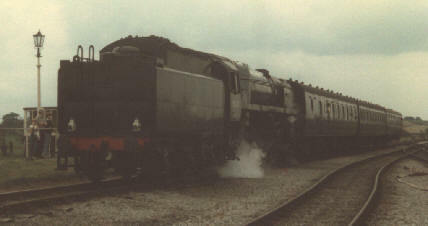 The ESR had a 9F 2-10-0 like Evening Star, which appears on the WSR page. 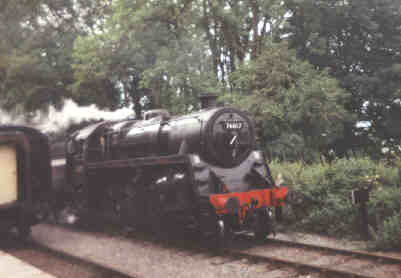 This is 92220 Black Prince which is seen here arriving at the ESR's main station at Cranmore. 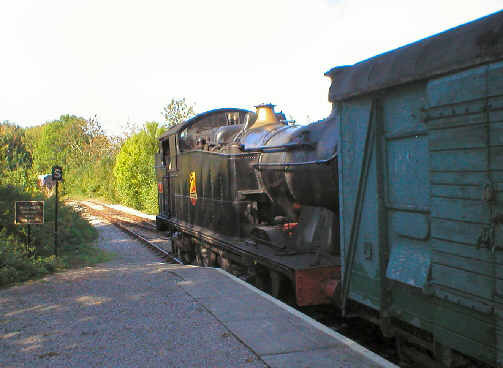 These heavy freight locos also saw service hauling passenger trains over the steeply graded Somerset and Dorset line between Bournemouth and Bath. 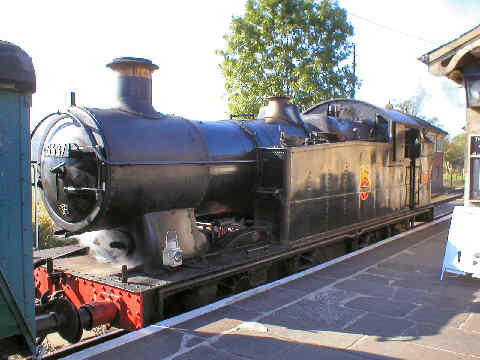 A "Jinty" 0-6-0T tank at Cranmore. 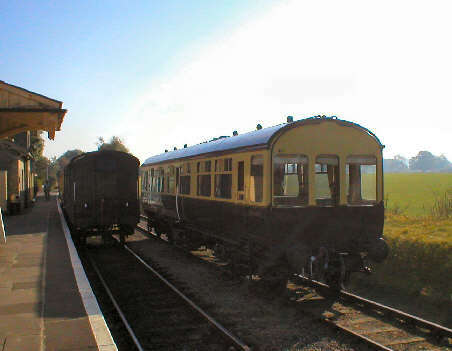 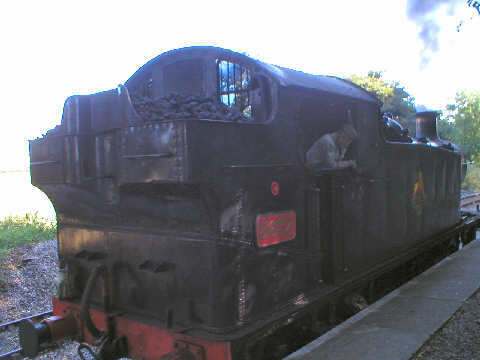 The Jinties were the standard shunting loco of the LMS and were also to be seen on the Somerset and Dorset. 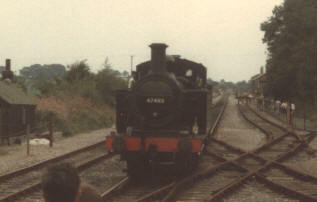 This one is 47493.